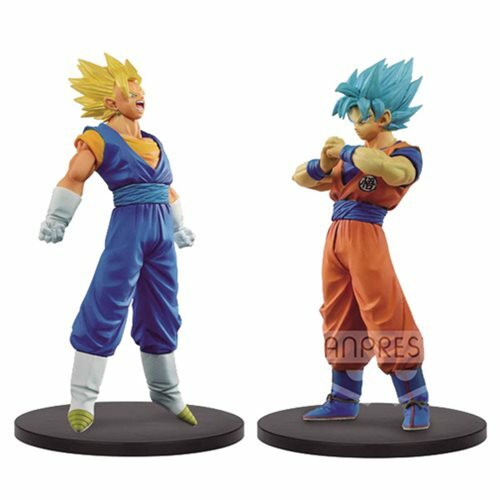 From the hit anime series Dragon Ball Super, comes volume 4 of the DXF figure collection of "The Super Warriors" featuring Super Saiyan Vegito and Super Saiyan Blue Goku! Sometime in a future turned so dark by a new type of evil, Goku and Vegeta have no choice but to risk everything by combining forces: enter Vegito! Standing at approximately 7-inches tall, these highly detailed figures come with their own base.